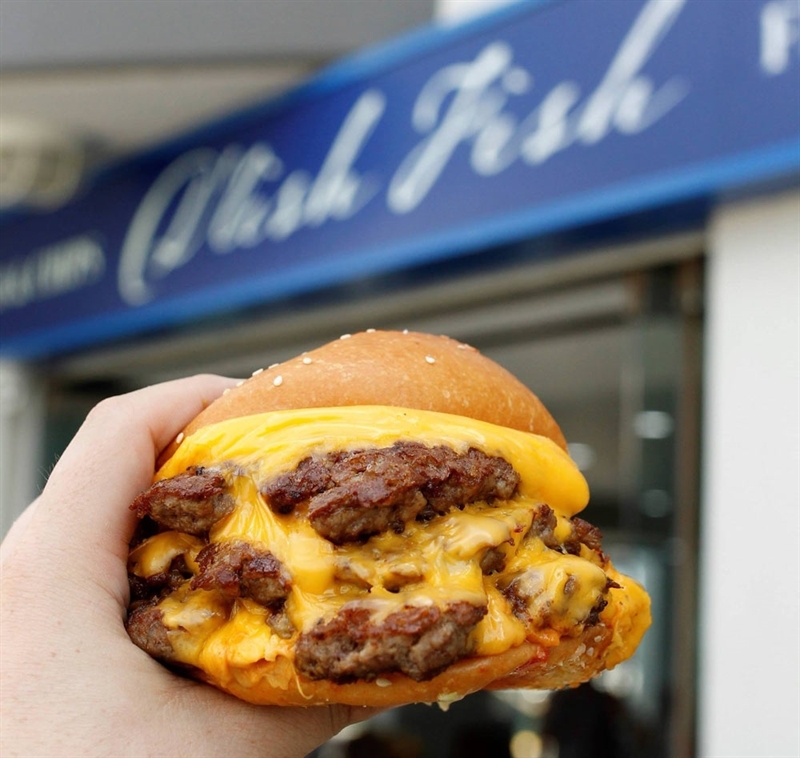 Fish Burger: grilled flake, lettuce, cheese, tomato and mayo. 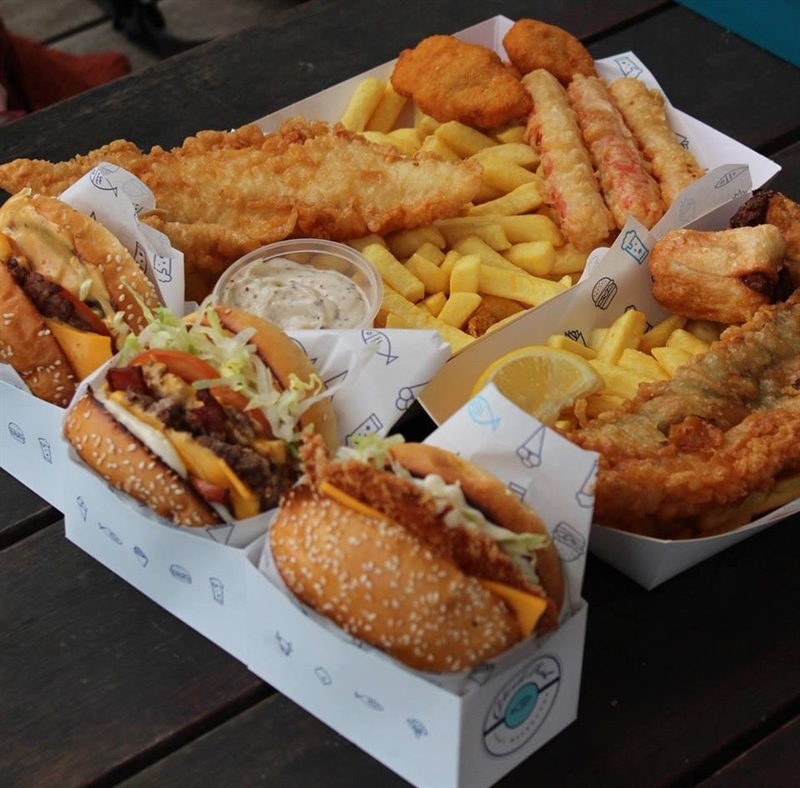 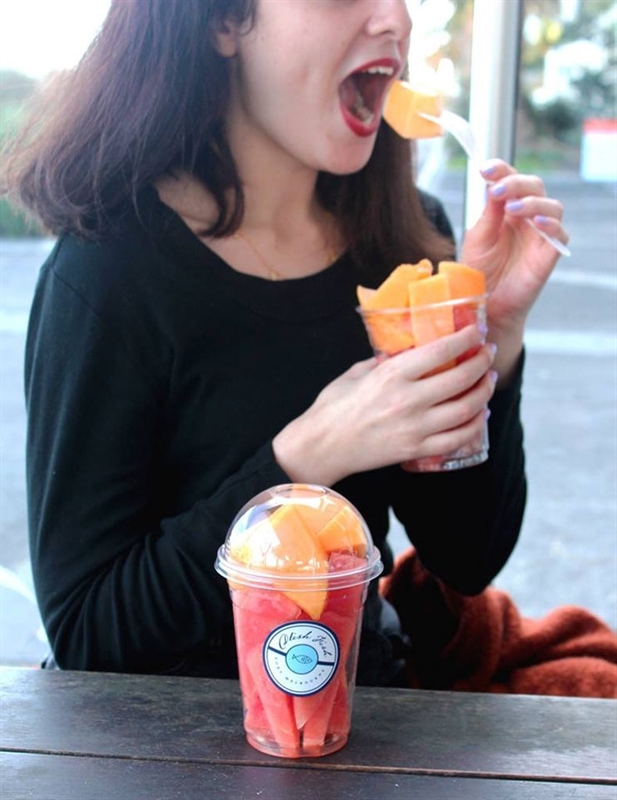 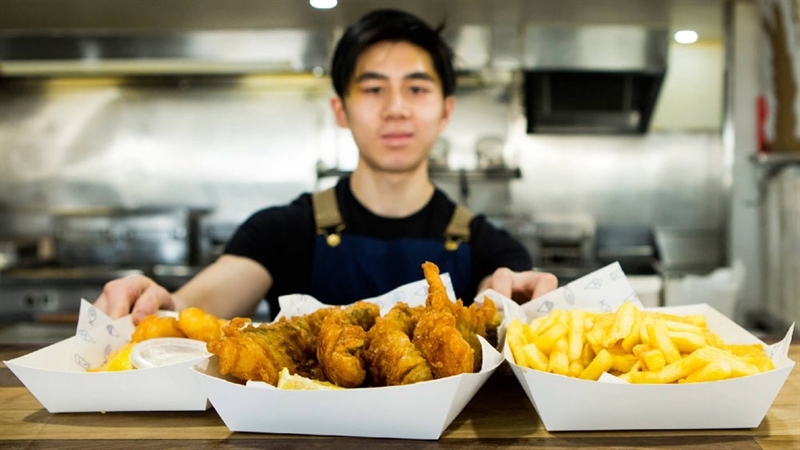 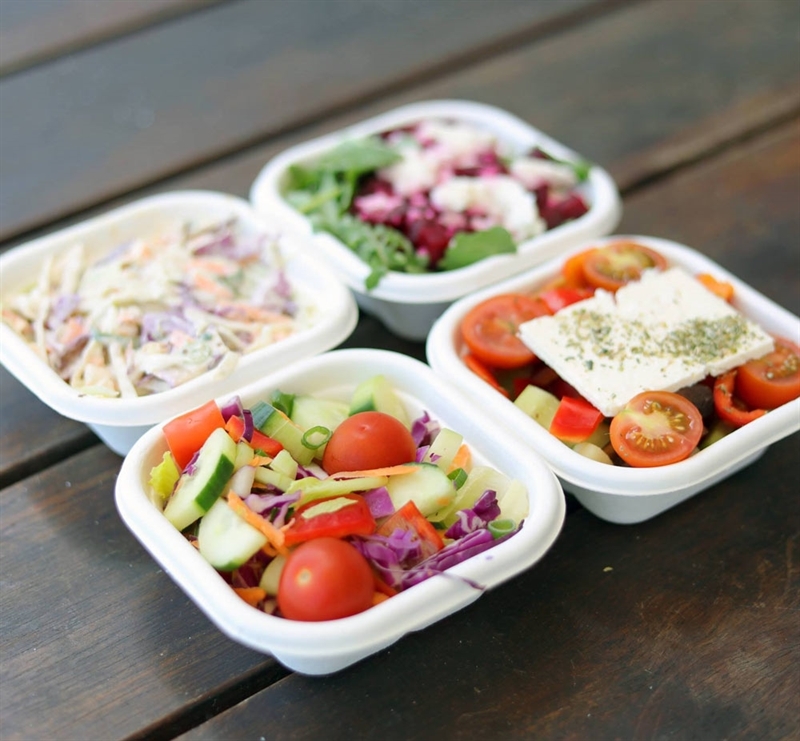 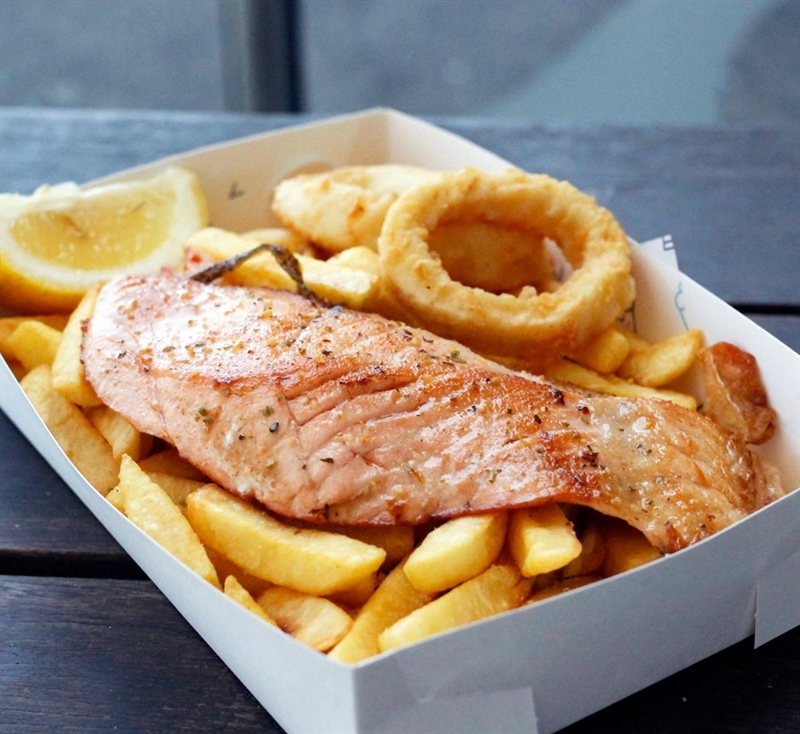 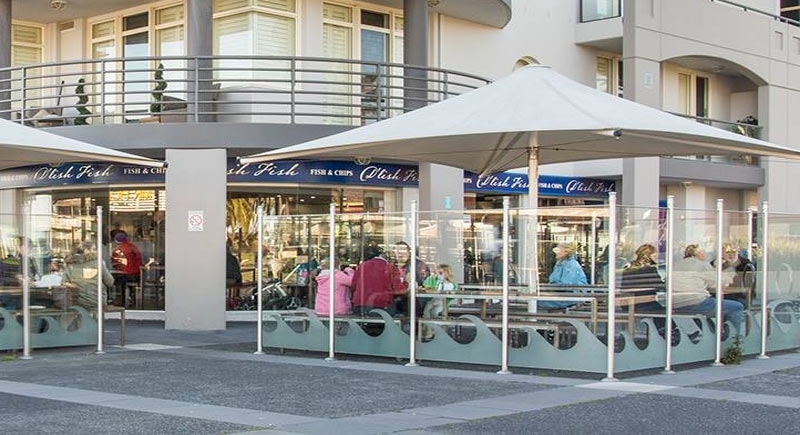 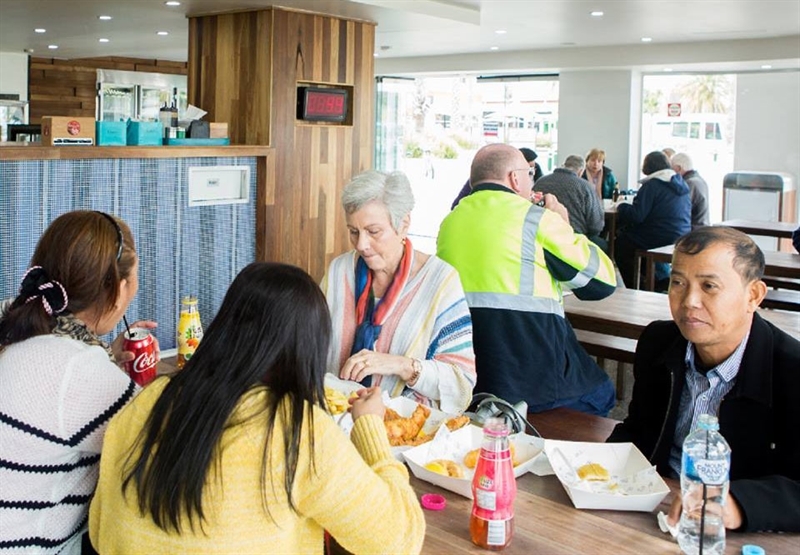 Stroll up from the sandy beachside of Port Melbourne and feast on fresh seafood at D'Lish Fish on Beach Street. 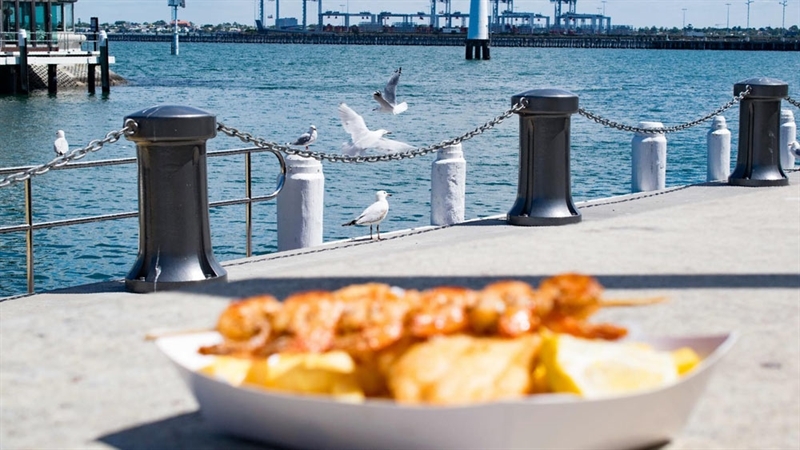 As the seagulls squawk overhead and salty sea breezes waft by, take a seat alfresco to soak up the sunshine, or pull up anchor and move indoors to a polished, modern space with blue and white accents creating a nautical vibe. 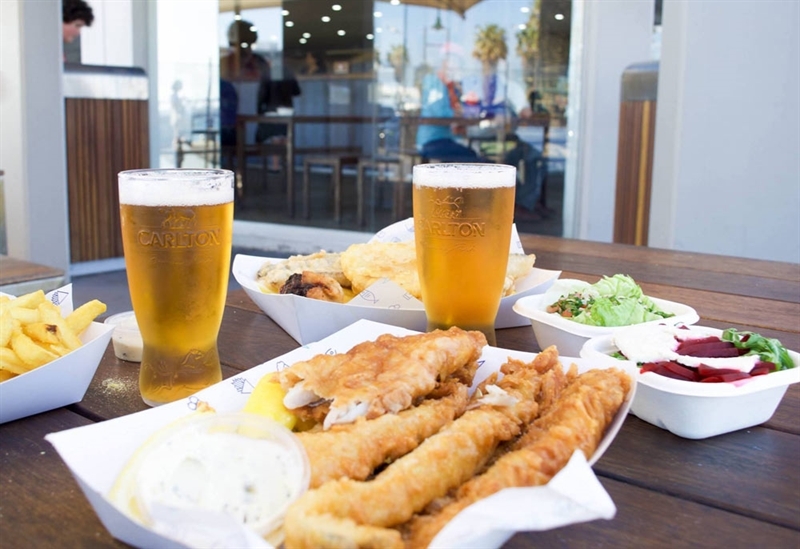 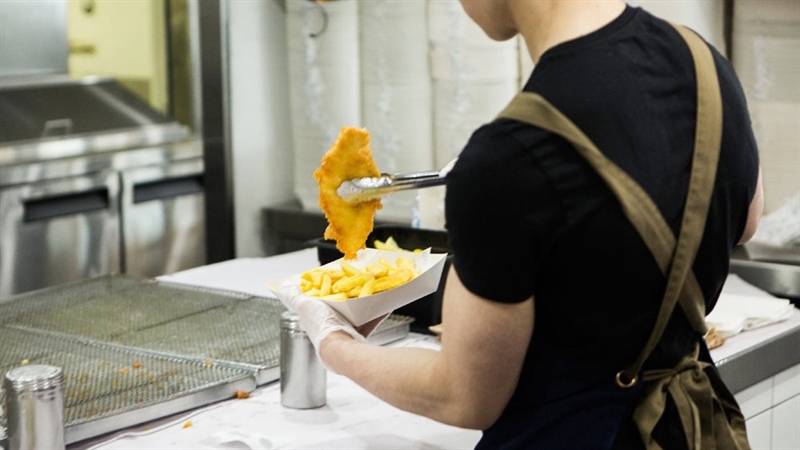 Communal, share-style tables and a beach coloured bar lure diners to linger over catches such as a deluxe fisherman's basket with blue grenadier, prawn cutlets, calamari rings, potato cakes, chips and tartar sauce. 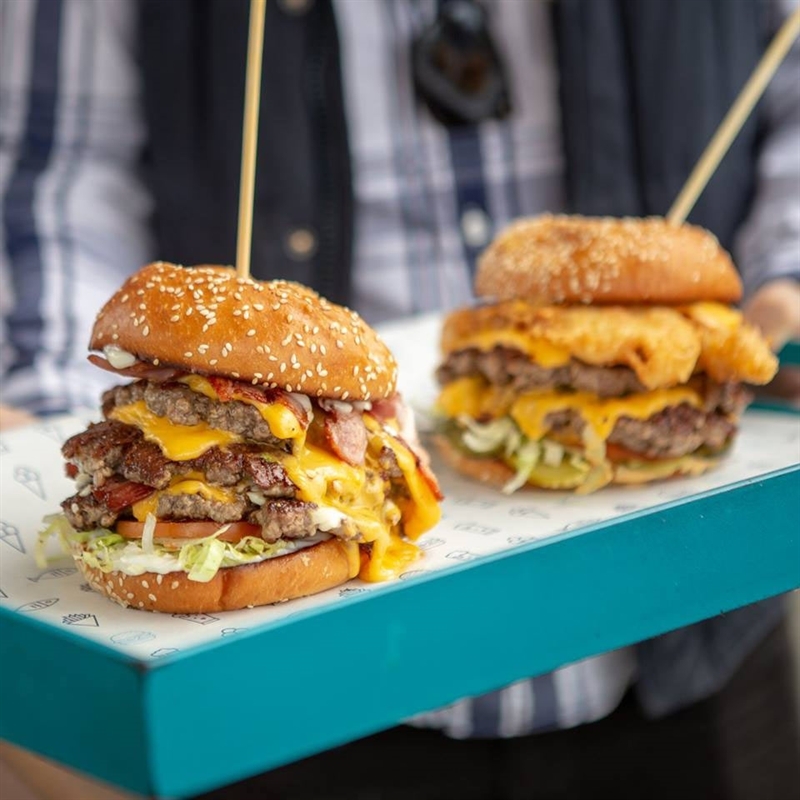 Burger lovers can hook a Manhattan – beef patty, double cheese, bacon, pickles, onion, ketchup, mayo and mustard – while those in need of a light bite may opt to cast a net over favourites like steamed dim sim, spring rolls and seafood sticks.